Hero Honda is the world’s largest India based two-wheeler manufacturers. In March 2011, they are going to reach the 5 millions motorcycles sales mark. The company is aiming at leaving Bajaj Auto their competitors behind, after reaching this five millions sales mark. If Hero Honda reaches this sales mark then it will be a historical record and another milestone for them. Hero Honda is joint venture between Honda Motors of Japan and Hero Group of India but they are split now. In the year 1983, they signed this agreement. In 1985, they launch their first CD 100 motorcycle. In 1983, the company produced 100,000th motorbike. After this in 1991, Hero Honda produced successor of ‘CD 100’ as ‘CD 100 SS’ and produced 500,000th motorcycles. Hero Honda Splendor was introduced in 1994 with 1,000,000th bikes production. In 1997, Hero Honda Street was launched and they also inaugurated their 2nd manufacturing plant at Gurgaon. 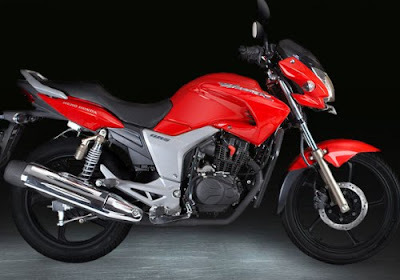 In 2007, Hero Honda Splendor NXG, CD Deluxe, Hero Honda Passion Plus and Hero Honda Hunk were introduced. In 2008, new Hero Honda Pleasure, Hero Honda Passion Pro, CBZ Xtreme, CD Deluxe with power start, Hero Honda Glamour and Hero Honda Glamour Fi were launched. They also reached 25 million production milestones in this year. In 2009, company launched Hero Honda Goodlife program, Hero Honda Hunk with limited edition, Hero Honda Karizma ZMR. In the year 2014 the company is going to split finally. Hero Honda Motorbikes are getting buzz response from the market after hearing the announcement regarding the splitting of the company. Today, Hero Honda is selling so many motorbikes in India that consists of all segments. 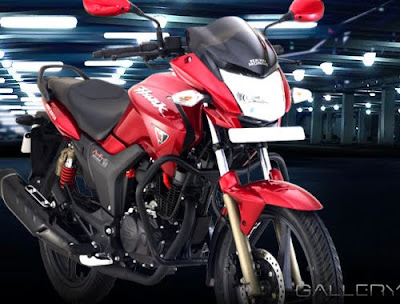 Popular bikes of Hero Honda include Hero Honda CD Dawn, Hero Honda Passion Pro, Hero Honda CD Deluxe, Hero Honda Splendor, Hero Honda Hunk, Hero Honda CBZ Xtreme, Hero Honda Karizma and many more. The most popular bikes among these bikes are Hero Honda Karizma and Hero Honda Splendor and are the flagship bikes of the company. Hero Group wants to reach at the top position in Indian 2-wheeler market. They also announced latest motorbikes under its solo brand name. Hero Groups hope that the company will easily get good position in Indian market because of wide network across India and its long experience. On the other side, Bajaj Auto the second largest 2-wheeler manufacturer of world is preparing to target to dominate two-wheeler market of India. Meanwhile HMSI, Suzuki and TVS Motors are also in the race along with their flagship motorbikes and upcoming exclusive bikes.